Grab your black turtlenecks, hotspots, and cold brew because I’m covering the latest Apple® event. Our setting is the gorgeous Steve Jobs Theater, named after the co-founder and former CEO of Apple, within the Apple Park Campus in sunny Cupertino, California. It is an underground, 1,000-seat auditorium intended for Apple product launches and press meet. Today, Apple’s annual Autumn hardware event is expected to show off the phones, smartwatches, accessories, and software updates for its suite of products. With a sense of urgency akin to a Mission Impossible movie, the opening video shoId a “TOP SECRET” briefcase being rushed to the Steve Jobs theater to reveal the clicker that Tim uses during his keynote. Tim boasted that Apple Store® locations are receiving over 500,000,000 visitors per year. Which, honestly, is pretty impressive considering the adoption of online purchasing such as Amazon. Apparently, 2 billion iOS devices have been shipped. It’s true that Apple says that iOS has changed how I live, work, eat, transport, and communicate with one another. There’s absolutely no denying that. However, I’m looking for true hardware innovation this year. Jumping in, Tim starts with the Apple Watch and hands off to Jeff. Apple Watch is the #1 smartwatch in the world, but it’s also redefining what a watch can do for you. It’s being elevated with upgrades surrounding staying connected and managing your health. The new Apple Watch Series 4 offers over 30% larger screens, but they’re thinner and with less total volume than Series 3. However, I can’t help but notice how busy the UI is. It’s going to be wildly helpful to have a customized display on the latest release, but our immediate feeling is that it’s a lot to process for a “quick glace” peripheral. Also, the side button aka the Digital Crown includes haptic feedback on Apple Watch Series 4 and the new watch boasts a 50% louder speaker. Of course, this had hardware upgrades internally. Now, with massive upgrades to Accelerometer Gyroscope and processor, the Apple Watch Series 4 can detect a potential fall due to imbalance. If you don’t respond to a detected fall within a minute, the watch will automatically call emergency services. Impressive! 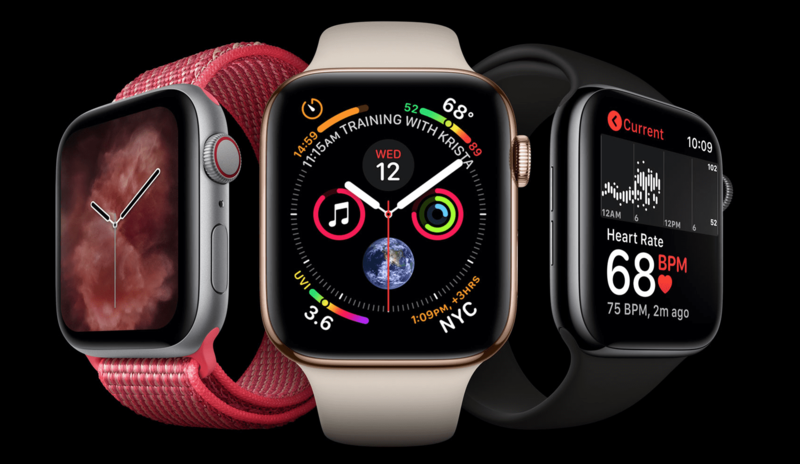 Apple Watch Series 4 is the first over-the-counter electrocardiogram (ECG) product that is direct to consumers. The built-in electrodes send recorded rhythm signals to the processor chip and provide an immediate ECG. This is incredible and an example of innovation that does in fact change our relationship with technology because of its abilities to monitor your health and alert emergency services if needed. 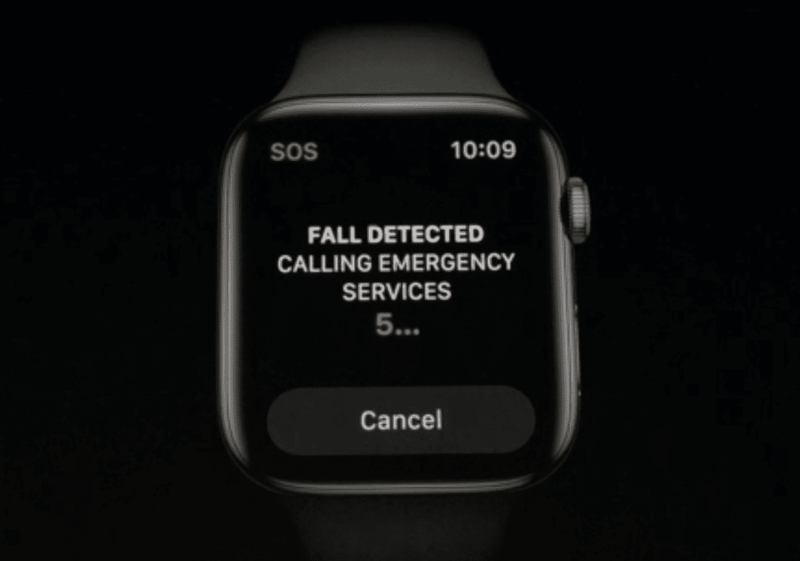 Fall detection, low heart rate monitoring, atrial fibrillation make the new Apple Watch Series 4 health alerts massively beneficial due to the lack of need of a cellular connection so the alerts just work, all the time, with or without a phone. On top of all these above upgrades, the Apple Watch 4 also boasts a 14-hour battery life. The reality is, the Apple Watch has all these amazing abilities, but most users only use it to find their iPhone that has fallen between couch cushions. Pricing: $299 with GPS, $399 with cellular. The Series 3 is price-dropped to $279. You can order the Series 4 starting Friday, September 14th. It ships on September 21. Note: watchOS® 5 will be available September 17.
iPhone XS goes to the next level, with the most durable display I’ve seen in an iPhone, improved water resistance, and a crystal-clear Super Retina™. It comes in a 5.8” model and a 6.5” model. There’s also the iPhone XS MAX. 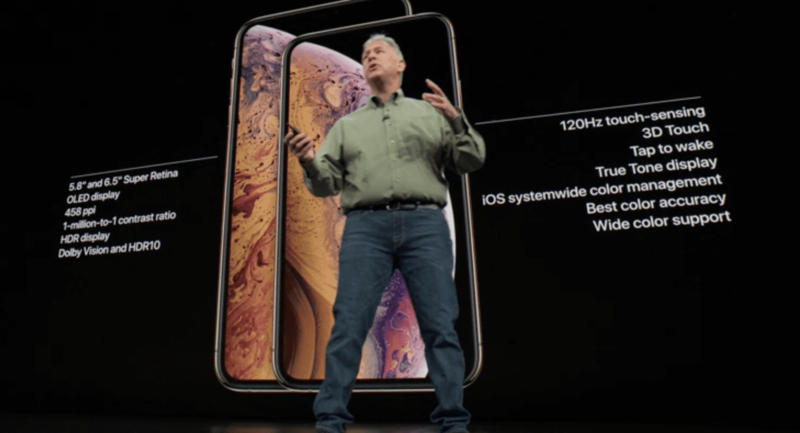 These new iPhone models incorporate the new A12 Bionic chip. It’s a 7 nanometer chip, which is a massive breakthrough in real-time machine learning used for augmented reality (AR). The iPhone XS Camera boasts a 12MP wide-angle camera and front-facing TrueDepth™ camera specification. Duel SIM Duel Standby (DSDS) means you can now have two phone numbers from two cellular plans. This will help users who travel internationally or have a personal and business line—you can basically have two phones in one. There’s one more model—the iPhone XR. The Liquid Retina screen is 6.1” with a 1792 x 828 resolution display. Basically, it’s an iPhone X experience on a more affordable model that will encourage wide user adoption. It also has a 12MP wide angle camera (same at the XS and XS Max). 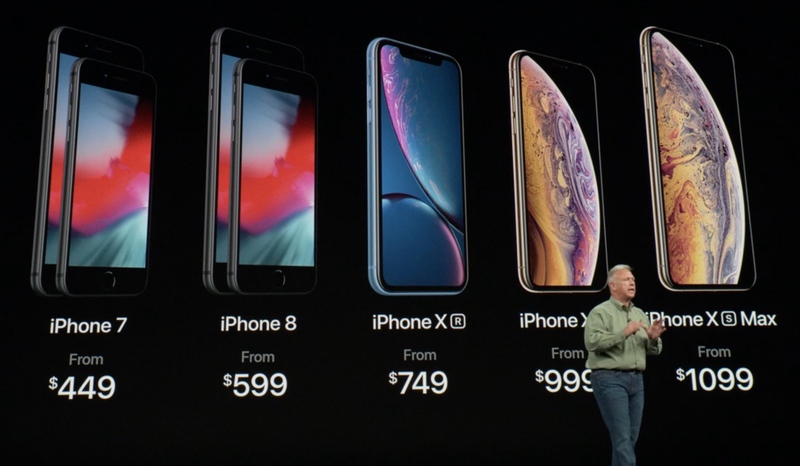 iPhone Summary: The iPhone XS and iPhone XS Max will be up for pre-order on September 14, shipping September 28. iPhone XS starts at $999; iPhone XS Max starts at $1,099. The iPhone XR starts at $749 and is available with 64 GB, 128 GB, and 256 GB. Apple has updated their website and now has an iPhone side-by-side comparison page with these devices as the default models. To wrap up the keynote, Tim mentioned macOS Mojave is going to be available to the public to download on September 24. It would be wrong not to mention Apple’s sincere dedication to making Apple an environmentally friendly company. Apple is on 100% renewable energy for all their facilities, worldwide. Their next challenge is to eliminate the need to mine new materials from the Earth. To reach this goal, they will have to find new ways to make new products with sourced and recycled materials, extend the usage for their products, and recycle properly. Apple also has the Apple Give Back program that encourages users to recycle their electronics directly to Apple so they can strip and reuse materials. All in all, the expectation for innovation wasn’t delivered in a full-hearted fashion. 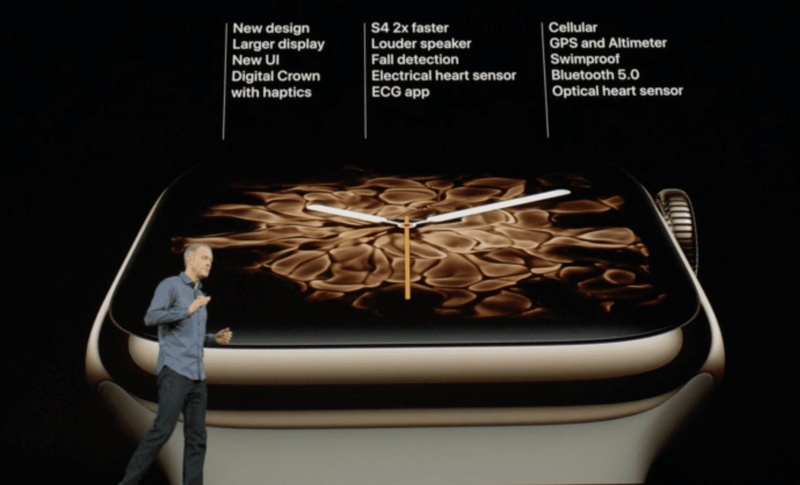 Honestly, the latest Apple Watch Series 4 is pretty incredible with ECG abilities, but the iPhone announcements lacked true innovation. The iPhone models boasted simplistic upgrades of the processor, display, and camera. There is no new technology I’re seeing here. Will I upgrade? As an Apple fanatic, yes. Will these devices change the world and my personal relationship with technology as a whole? Probably not.